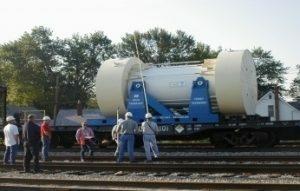 North Wind provides highly specialized expertise in the strategic planning, regulatory compliance, stakeholder interface, emergency management, and public involvement and dispute resolution aspects for the transport of radioactive materials, specifically waste. North Wind staff each has over 25+ years of experience in working for the U.S. Department of Energy (DOE) to plan for and carry out shipments of radioactive materials, including transuranic waste, spent (or used) nuclear fuel shipments, and low-level radioactive waste. The North Wind team offers a time-tested strategic approach for the successful planning and operations phases of these sometimes controversial shipments. A long history with key players in industry, state, local, tribal governments, and federal agencies make this team’s experience and perspective unique in the industry.